Nystagmus is a vision condition in which the person affected is subject to repetitive, involuntary eye movements. These eye movements may be up and down, from side to side, or in a circular pattern, and hinder the eyes’ ability to focus steadily on an object. People with nystagmus may need to hold their heads in unusual positions or nod their heads in an effort to compensate for these movements. Nystagmus that develops in childhood is typically genetic in origin; if it develops later in life, it may be the result of an accident or injury. The exact cause of some cases of nystagmus is not fully known. The types of nystagmus include congenital nystagmus and acquired nystagmus. The congenital variety typically develops in infants of between two and three months of age, whose eyes will appear to move in a horizontal swing fashion. Congenital nystagmus is associated with conditions such as undeveloped optic nerves, congenital cataracts, albinism, and congenital absence of the iris. The form known as acquired nystagmus generally does not occur until adulthood. While the cause is generally not known, the condition may be triggered by central nervous system issues due to stroke, multiple sclerosis, alcohol or drug toxicity, or a blow to the head. A thorough and comprehensive eye exam is required to diagnose nystagmus. The patient’s eye care professional will first examine their medical history to determine whether the symptoms could be caused by environmental factors, general health problems, or medications. Next, visual acuity measurements will be made to assess the extent to which vision has been affected. These tests will help determine the appropriate refractive lens necessary to compensate for any nearsightedness, farsightedness, or astigmatism the patient may be experiencing. Finally, tests will be done to determine how the eyes work together to move in unison and focus on a single object. While nystagmus currently has no “cure,” treatment options are available to help correct other vision problems that may be associated with it. Depending on the type of nystagmus you have and what is causing it, it is also possible that the condition will spontaneously correct itself. 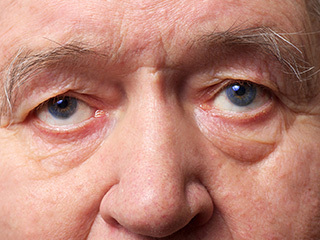 In extremely rare cases, surgery to alter the position of the muscles that move the eye may be an option. However, lifestyle changes such as using large-print books, increased lighting, and magnifying devices are generally the preferred treatment methods.